This was sent to me by an artist from Minnesota. She titled it Laughter....about 7 feet in length. 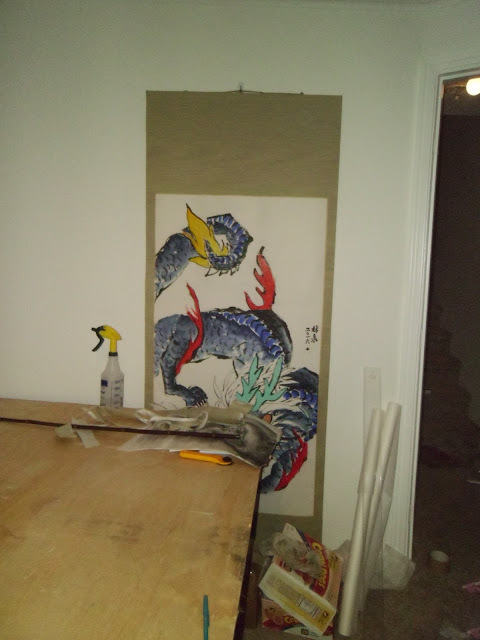 This is a dragon sumi painting from a friend of an artist that lives in Minnesota. Color inks take an extra step to prepare to make a scroll. They tend to bleed very easily when water is even applied to the back of the painting. So you are required to either apply nijimi tome spray, or a liquid dousa eki. The dousa eki is a liquid that is even be better to be applied to the paper or silk before it is painted. 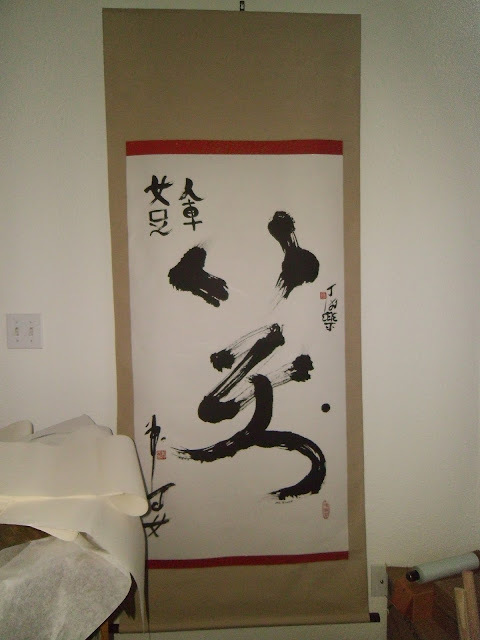 This particular scroll is done in the fukuro hyougu style. I applied a 1.5 bun measured suji in gold around the painting to provide a relief to the cloth and painting. This painting is so powerful, I wanted to utilize a simple mounting style. Yes, my studio is a little messy.